Debbie Slater, owner and Massage Therapist at Keheren Therapy in Kingston and Richmond discovered Hydrotherm Massage 10 years ago. From this point, Debbie has actively promoted it as a leading method of treating muscular problems through massage therapy. Since then, Debbie has trained to provide Hydrotherm Massage Training Courses and gained a City and Guilds award in education and training. Debbie is now pleased to be able to offer Hydrotherm Massage Training Courses in the South-West of England and London. Training can be provided at Keheren Therapy in Threemilestone, Truro or in your own spa or clinic. Debbie covers the South West region from Bristol to Penzance and London, however, if you live further afield and would like to discuss training please do not hesitate to contact her. The effects and benefits of Hydrotherm massage. Health, safety and hygiene whilst using the equipment. Step by step tuition and practical application of Hydrotherm massage. Hydrotherm Training Manual provided for each course. To be qualified in and charge for Hydrotherm massage. To be able to offer clients more choice and variety. Increase revenue in your business; be able to charge a specialist rate. Offer a highly effective treatment whilst reducing the impact on the therapists own back/wrists/hands. Stand out from the crowd and your competition with this spa-quality treatment! Candidates must hold a recognised Level 3 qualification in Massage. Next training dates are available here. Please do not hesitate to contact us if you would like training on other dates than those provided. I had an amazing day of training. Debbie was great at explaining everything about dealing with cancer patients. Her knowledge is impressive, especially from a medical/scientific/research perspective. “SPECIALIST CANCER MASSAGE – I am so pleased to share with you my news . 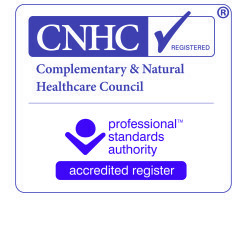 I have completed my training on “specialist cancer massage”, this verifies and certifies me to support all my clients and patients and not have to turn them away at a time when they need specialist therapy the most. Evidence based research and medical support proves that people with cancer can have astounding benefits from receiving massage treatment. Yesterday I did the massage for cancer training with Debbie slater .. I learnt so much and would advise anyone to do this course if you want to understand more about this disease as well as having an insight into what your clients may be experiencing Just think of all of your clients who CAN have massage !! !